Our Lands Speak: Archaeological Investigations at Queensville Site 3 | Bill Finlayson, Ph.D.
Our journey back in time continues now with our dig at Queensville Site 3, chapter 4 of my newest publication, The Archaeology of Five Queensville Farmsteads, a 19th Century Crossroads Community in the Township of East Gwillimbury, Ontario. 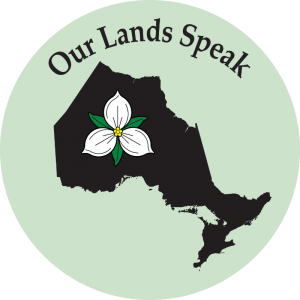 This is the third blog in our Queensville series; thanks again for following along as we delve deeper into our discoveries. In case you missed my earlier posts, click here for Site 1 and Site 2. 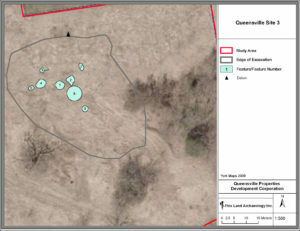 We initially uncovered Queensville Site 3 during our survey of the abandoned area of the former farmstead on Lot 16, Concession 3. There we found 49 artifacts in the test pits we dug in this area of the property. 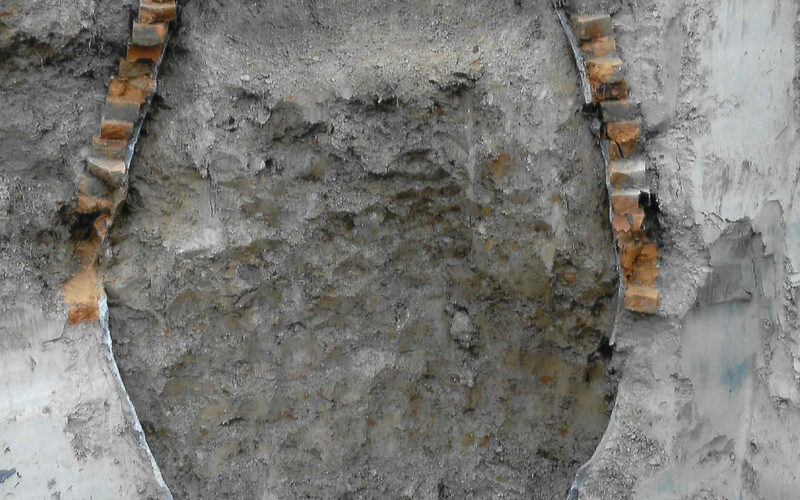 This revealed to us the presence of a 19th century farmstead. Archival research showed this lot was occupied by William H. Willson as early as 1836. Willian was a cousin of David Willson, the founder of the Children of Peace, and the driving force behind the construction of the Sharon Temple. Our research also showed that there was a house as well as farm buildings on the property in 1988 since they are present in the aerial photographs. The photo was taken that year, but strangely vanished by 1995. Pushing on with our excavations, the Stage 2 and 3 archaeological assessments were undertaken in 2008 and 2010, while Stage 4 salvage excavations were initiated in 2010 and completed in 2011. As you can see, this is not a quick and simple process. To our delight, the Stage 3 excavations produced 385 artifacts and the Stage 4 excavations 12,493 artifacts. Definitely worth the wait! Similar to Queensville Sites 1 and 2, we found one cellar which we assume represents the remains of the house built by William H. Willson. There we observed a depression which indicated the location of the cellar of the house present in the 1988 aerial photograph of the property. 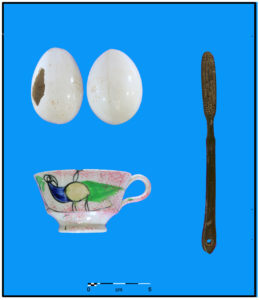 Among the more unusual items recovered were two porcelain eggs and a tea cup with the image of a bird on its exterior. This is one of the most beautifully decorated teacups we have ever found. Also unearthed was a bone toothbrush, a rare gem of a find on 19th century sites. Lastly, we discovered an unusual cistern. This was 1.8 m in diameter and 1.8 m deep. Its sides and base were lined with concrete and its upper portion also lined with 19 layers of red brick. Although we can’t always determine the full story of our archaeological finds, the process remains incredibly fascinating in helping us to piece together more about that time in our history. 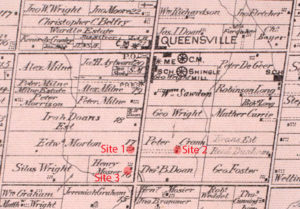 If you want to learn more about Queensville, be sure to pickup a copy of The Archaeology of Five Queensville Farmsteads, a 19th Century Crossroads Community in the Township of East Gwillimbury, Ontario in the I C Bookstore.